Let them eat (veg) cake! It’ll come as no surprise that we are big veg eaters here at the Real Food Garden, but sometimes we all need a sweet pick me up. After experimenting with a variety of savoury veg recipes we’ve recently turned our hand to baking some sweetmeats to sustain us through the afternoon weeding! Here are some of our favourite recipes using veg from the boxes, meaning you get all the yumminess of cake and all the healthiness of fresh, chemical free veggies! Preheat the oven to 180°C/160°C fan/Gas 4 and grease 20cm/8in cake tin. Put the flour, almonds, raisins, walnuts, mixed spice and bicarbonate of soda in a large bowl and mix thoroughly. In a separate bowl, whisk the eggs, oil and milk together and stir in the grated carrot. Add the egg mixture to the dry ingredients, mix fully and pour into your prepared tin. Bake in the centre of the oven for 1 hour, or until the cake is well risen and a knife inserted into the centre comes out clean. We enjoy just as it is but if you’d like to add a frosting just mix up 150g cream cheese with the zest of a medium orange and spread over the top. Courgette cake has become more and more popular in recent years and having tried this recipe we know why! This low sugar loaf makes for a great lunch box treat. Preheat the oven to 180°C/160°C fan/gas 4 and grease/line a loaf tin. In a large mixing bowl whisk the eggs, sugar and oil and add the courgettes. In a separate bowl, mix together the reaming remaining ingredients with a pinch of salt. Add the dry ingredients into the wet mixture, mix well and pour into the loaf tin. Bake for 1 hour, or until a knife inserted into the centre comes out clean. Leave to cool, then serve just as it is. You may not think the earthy flavour of beetroot lends itself to cake but we dare you to give this one a go, and be prepared to be pleasantly surprised! Slowly melt the plain chocolate over a pan of simmering water and then set aside to cool. In a large mixing bowl whisk together the eggs, sugar and sunflower oil until the mixture is smooth and creamy. 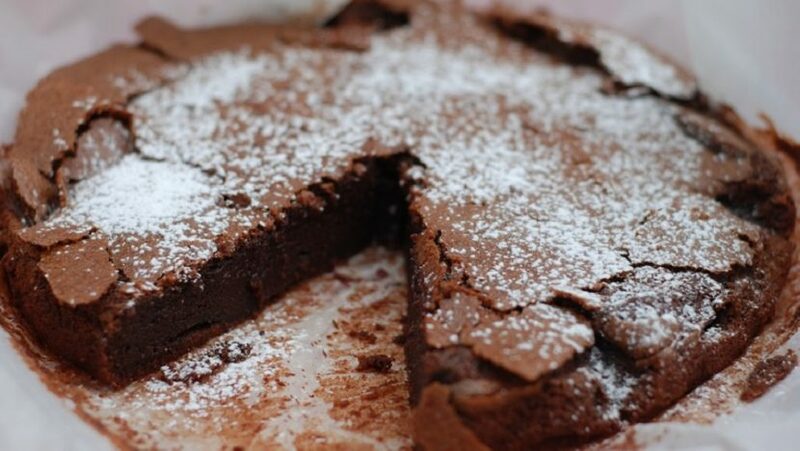 Stir in vanilla extract and sift in the self-raising flour, bicarbonate of soda, baking powder. Fold this in to the mixture adding the ground almonds. Squeeze out the excess moisture from the grated beetroot and fold into the mixture with and the cooled chocolate. Once mixed thoroughly, pour the mixture into the tin and bake for 50 minutes-1 hour. , or until a knife inserted into the centre comes out clean. Cool in the tin and then leave to cool completely on a wire rack. 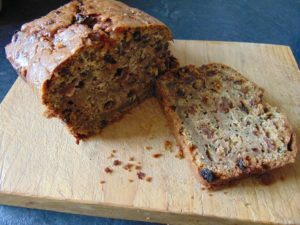 You can of course enjoy just as it is or jazz it up with a dusting of icing sugar and serve with Cornish clotted cream. Whichever way you have we’re sure you’ll find a whole new side to beetroot that you’ll want to try again and again! 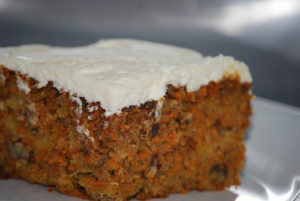 Don’t forget to share your favourite recipes with us and your pictures of veg cake on our facebook and twitter pages.